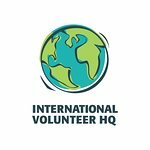 World’s #1 volunteer travel organization, providing affordable & top-rated volunteer programs in 40+ destinations. Trusted by 90,000+ volunteers. Kenya believe it? We have a new volunteer opportunity for you in Mombasa, Kenya. Introducing...Woman's Education project! Click the link to find out more! Torn between which volunteer program in Argentina you prefer? ...You can always join both! 👏👏👏 VOLUNTEER ABROAD SCHOLARSHIP 👏👏👏 Are you looking to break away from the standard-issue Spring, Summer or Winter Break? and, create a positive change through meaningful international experiences? Take a break that counts! Apply now! It's HERE! The BEST of the best 2019 🏆 🌎 Discover these top reviewed experiences from around the world! 🚨 NEW PROJECT ALERT 🚨 We are always looking to empower travelers to make meaningful contributions to the communities they’re visiting, wherever that may be, and with these two new volunteer projects in Nepal, you can! We're excited to introduce NGO Support and Sustainable Agriculture! 🇹🇭 NEW 🇹🇭 NEW 🇹🇭 NEW 🇹🇭 It's HERE! Our NEWEST volunteer abroad destination! 👇🏼 Click the link below to learn more about this awesome new volunteer opportunity.